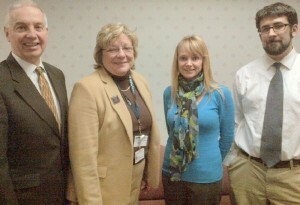 On Feb. 25, Assemblyman Bob Oaks met with representatives of the Cancer Services Program of Cayuga, Oswego and Wayne counties to discuss ways the program has helped local residents. 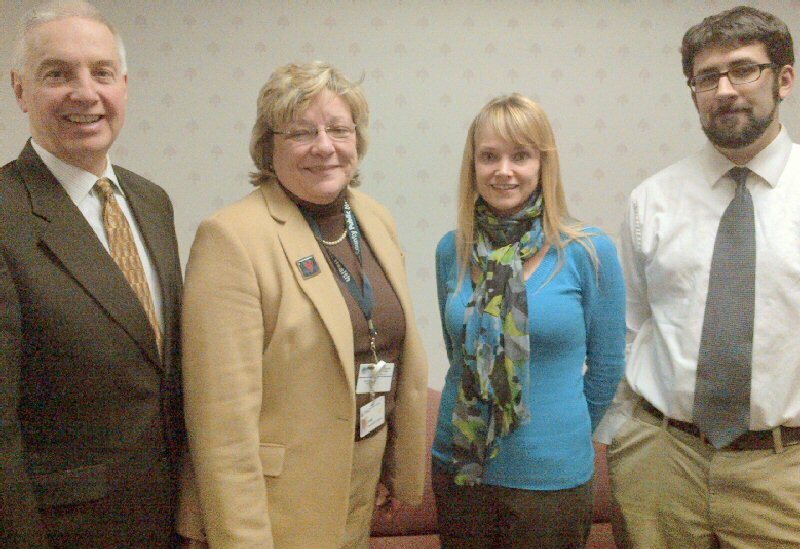 Shown with the assemblyman are Dianne Miller from the Wayne County Cancer Services Program, Kim Abate from the Cayuga County Cancer Services Program and Jason Warchal, the community mission manager of the American Cancer Society in East Syracuse. For information regarding free cancer screenings in the three local counties, call 1-866-442-CANCER (2262).